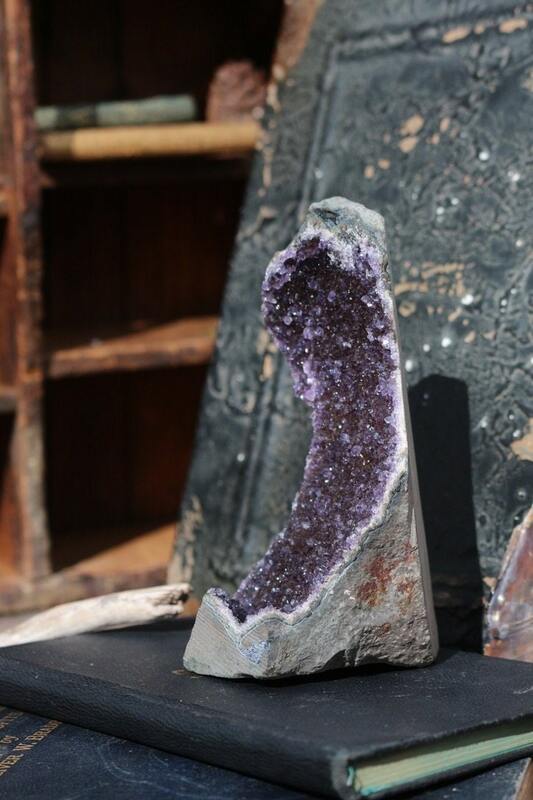 An interesting shaped Black Amethyst Geode from Uruguay. 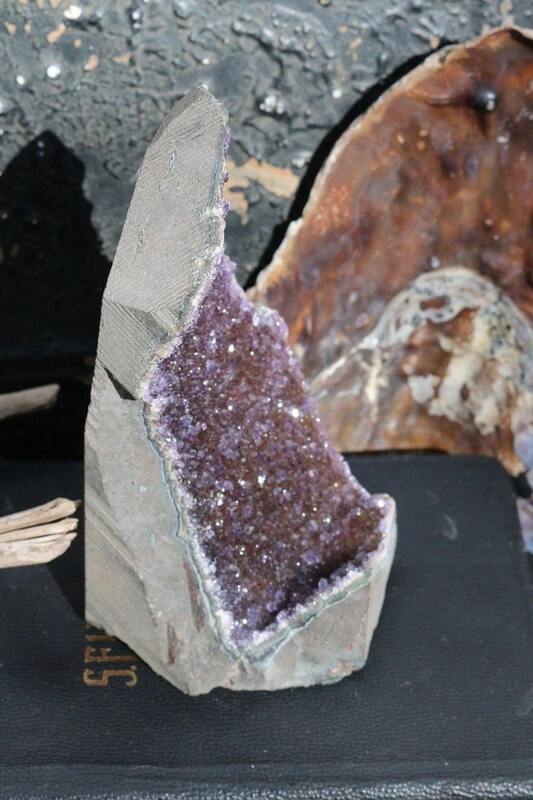 The darkest purple within this geode appears almost black in some lighting. It sparkles as though someone sprinkled diamond glitter over the entire piece. The perfect size for a bookshelf, a deep windowsill, a collector's lighted case. It's just perfect. Highly sought after and Mined in Uruguay, South America, Black Amethyst is considered to be both the highest quality and most desirable of all Amethyst available on the market today. 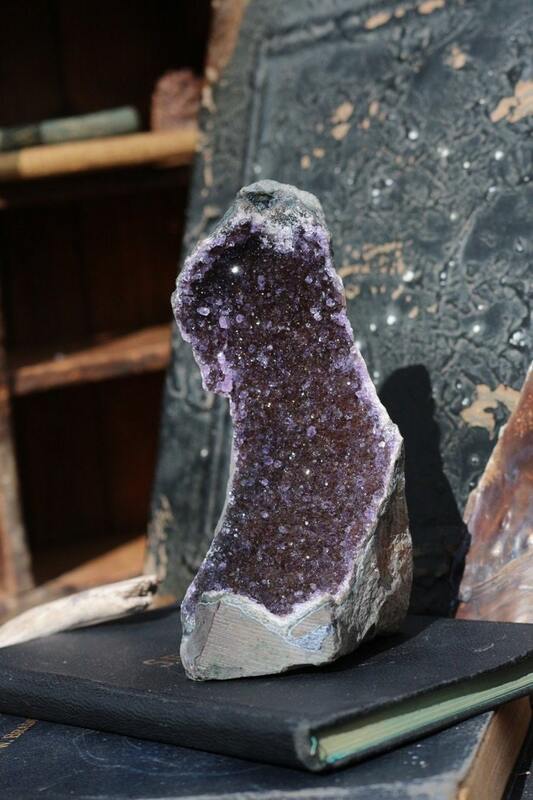 The dark (black) color comes from the inclusion of Hematite within the commonly seen purple color of Amethyst together, with an outer layer of consistent sparkly calcitic druzy quartz is what gives Black Amethyst the appearance of a beautifully clear starry night. 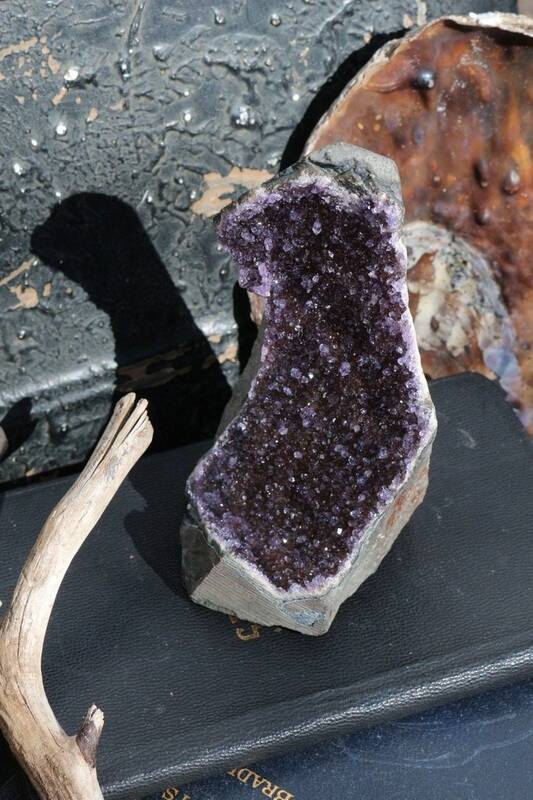 From a spiritual standpoint, Black Amethyst is known to be the King of Healers, especially for Migraine Sufferers. 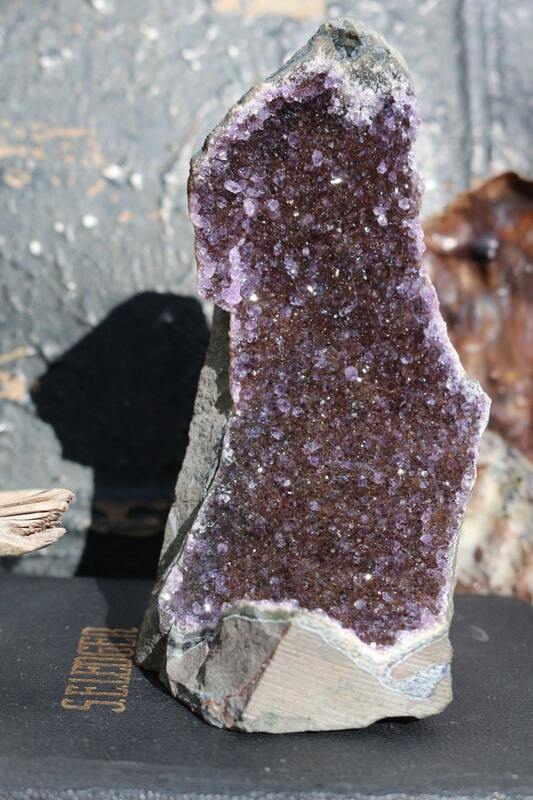 Similar to Auralite-23 and Super Seven Amethyst, Black Amethyst aligns the Seven Chakras from Crown to Root. It is thought to boost one’s intuition, provide stress relief by encouraging a peaceful mindset, as well as helping to maintain mindfulness and focus during meditation. Meditating with Black Amethyst is becoming one within ourselves where we can let go of our fears, guilt, and shame. With that, we then can move forward by developing and enhancing compassion towards people, animals and all things that surround us. Black Amethyst is associated with Crown and Third Eye Chakras.